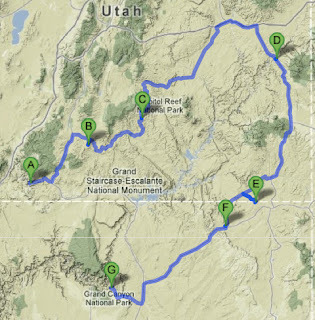 Inspired by my post yesterday, my friend Willie (and photographer for Pedal Dancer) mentioned that he and his wife Liz have always wanted to take a driving tour across the state of Utah in the United States. For Willie and Liz I thought I would map out the highlights of a loop tour. I have two other good friends from France, Jean Paul and Jeannine, whom I have always thought would enjoy this auto tour as well. I have spent years in this area for both work and play and highly recommend Utah for a driving tour. 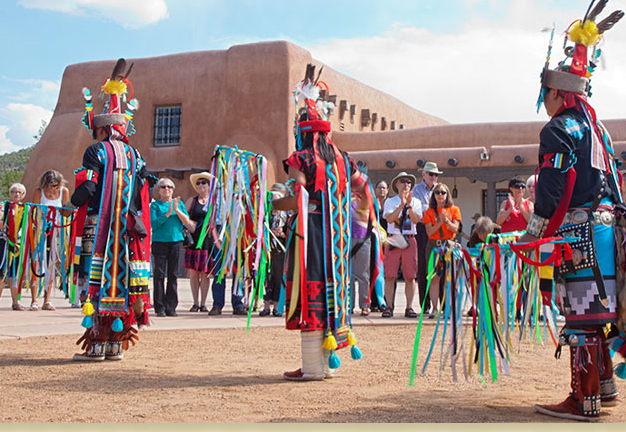 If you enjoy a road trip through wide open landscape and expansive views - you will love this tour. 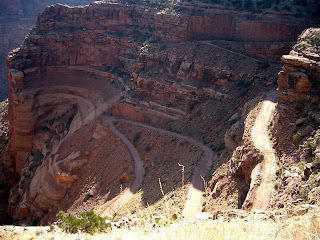 I warn you it gets hot in the deserts of southwestern United States, so this drive is best done in spring or fall. 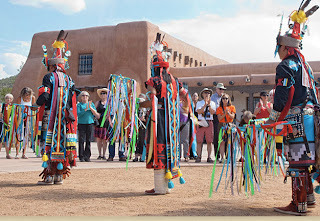 The roads are great, hotels are plentiful, so are campgrounds, hikes and bike rides are easy, and this is the land of the American Native Indian. 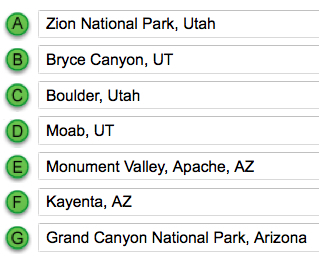 You may visit (fee required) National Parks, or free trails. 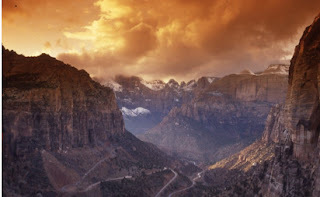 You'll want to load up your bikes, hiking gear, camping gear, camelbaks, kayaks, climbing racks, or just jump in the car with a good pair of shoes and a camera. Definitely bring a day pack, water, sunscreen, and old fashioned maps (you'll be off the grid at times). 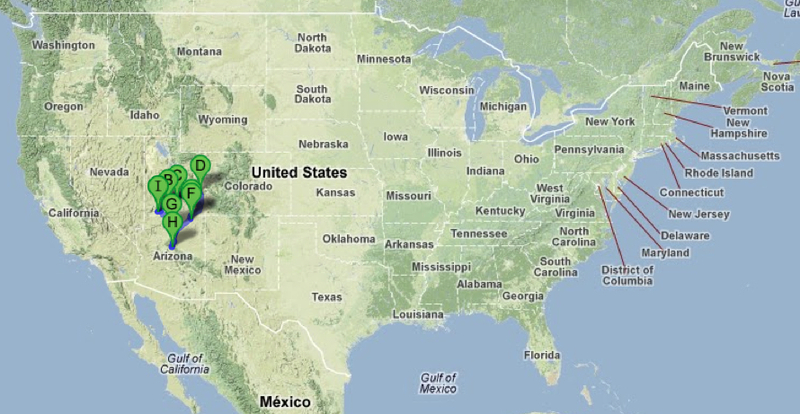 The United States is huge. This is big country, land of gas stations, rest stops, and miles of seeing nothing but horizon and wide open spaces. This recommended loop tour entails about 21-hours of driving. It must be mind-boggling to a visitor from Europe, considering that if you live in Belgium, it takes a mere 2-hours to drive your car from Brugge to Liege, nearly the width of your country. Two hours of driving is nothing in the United States. 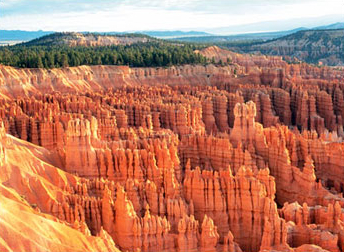 Both Utah and Arizona have mind-blowingly gorgeous natural scenery made for a camera lens and a car radio. 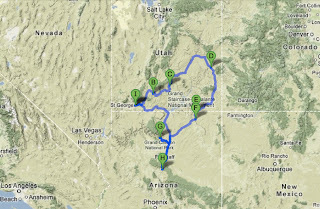 You may begin your drive from the major cities of nearby Las Vegas, Nevada, or Phoenix, Arizona. This loop is a 6-hour drive from my home in Denver, Colorado. Allow a few days to stay and play in Moab, Utah, where you will find good bike trails and roads, hikes and restaurants. I recommend a vacation of one week for plenty of play time. 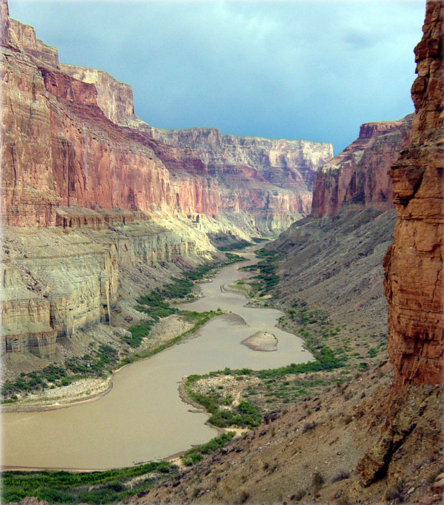 The highlighted cities and sites located within the loop tour include: Zion National Park; Bryce Canyon; Boulder, Utah; Moab, Utah; Monument Valley; Grand Canyon; and Sedona, Arizona. 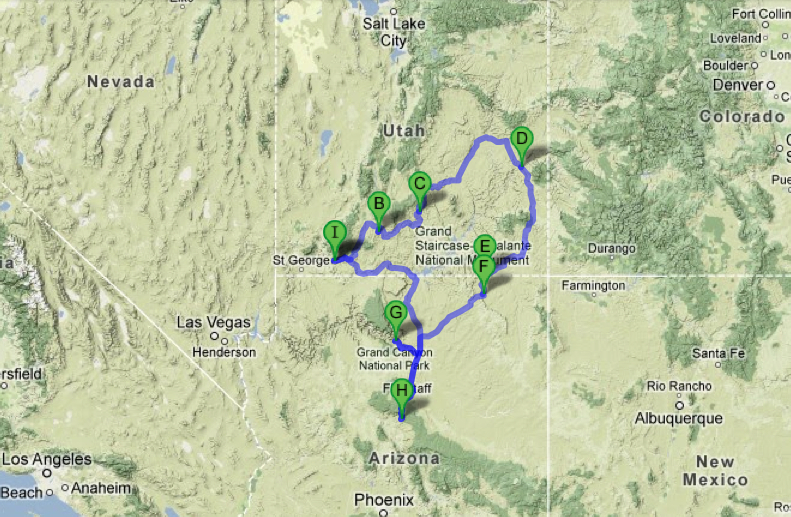 There are over 7 National Parks on this automobile loop route - be sure to buy a National Park Pass. Natural beauty, grand walls of rock, with interesting hikes. Driving in and out of this park is a real treat. 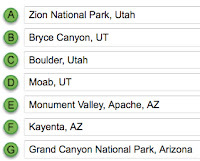 The park claims that "Kolob Arch, located deep in the backcountry of Zion National Park, is one of the largest freestanding arches in the world" There are park maps in English, French, German, Italian, and Spanish. 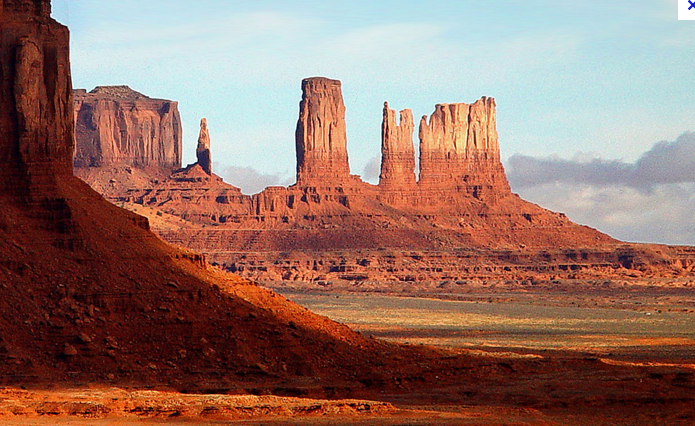 Millions of years of wind and water have formed delicate rock spires. Views of the park are mostly from the top down. 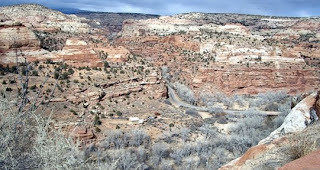 A beautiful drive along Hwy 12 near the slot canyons of Escalante Canyons National Monument and Capital Reef National Park. 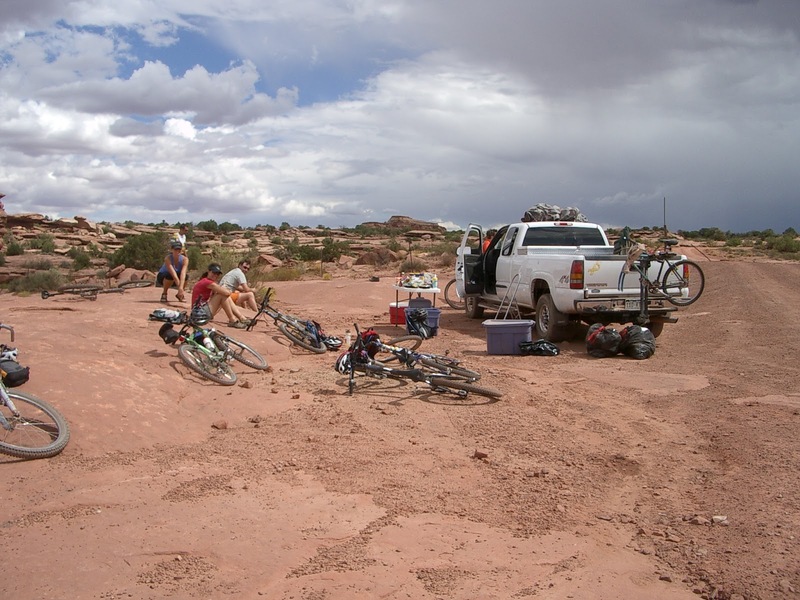 The end-point of the epic Kokopelli Trail a 142-mile trail from Colorado to Moab. 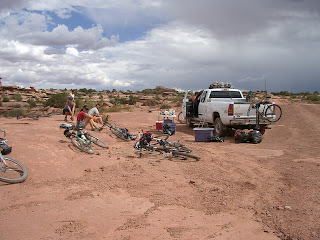 And the Incredible White Rim Trail camping/mountain biking adventure loop. * warning - Utah has weird (restrictive) alcohol laws. Is a movie-set picturesque valley of rock structures and spires, spectacular at sunrise and sunset. A small city for a hotel stop in the middle of nowhere. Also Tuba City, Arizona, is another choice for a quick overnight stop. 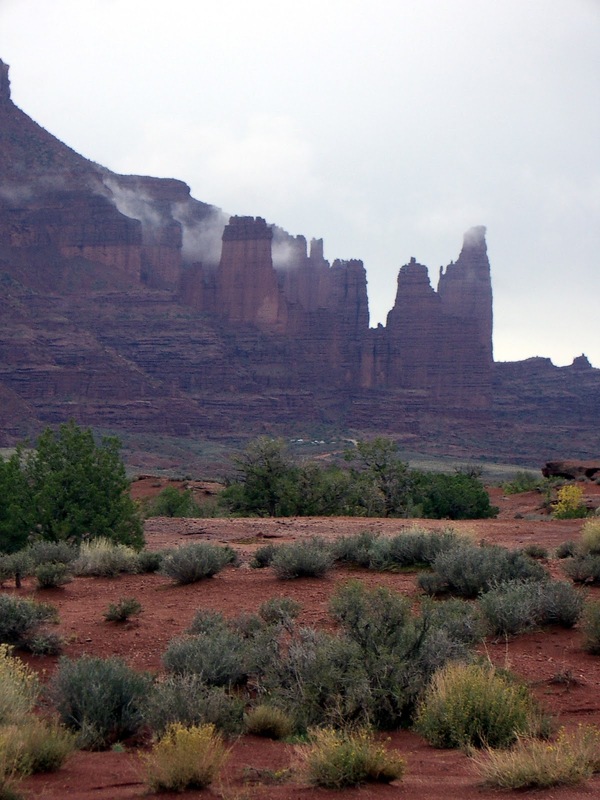 Nearby cities of Saint George, Utah, Flagstaff, Arizona, and Grand Junction, Colorado (with Colorado's National Monument) also have plenty of hotels to begin your loop tour. Lake Powell is located within the loop and is a great lake to rent a house boat in spring or summer and float with friends and family, exploring the various rocky coves. 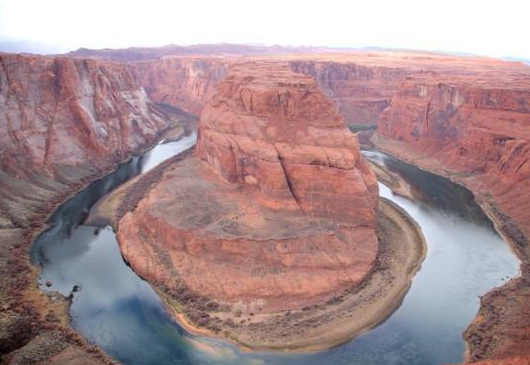 I have fond memories of canoe, kayak and house boat vacations on Lake Powell. 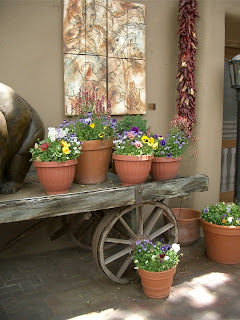 Scottsdale, Arizona is located next to Phoenix, AZ and has large hotels with nice spas and golf courses. 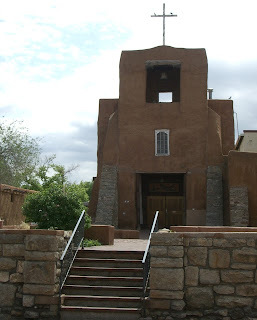 Santa Fe, New Mexico, is also an interesting southwestern art and cultural city and home to the Santa Fe Century bicycle ride (May). 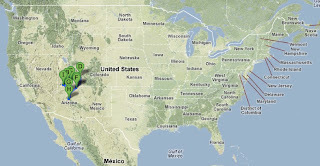 Major airports near the loop car tour are: Phoenix (2-4 hr drive), Las Vegas (3 hr drive), Salt Lake City, (4.5 hr drive), Denver (6 hr drive), Los Angeles (7 hr drive), not San Francisco (it is not recommended to drive across northern Nevada). 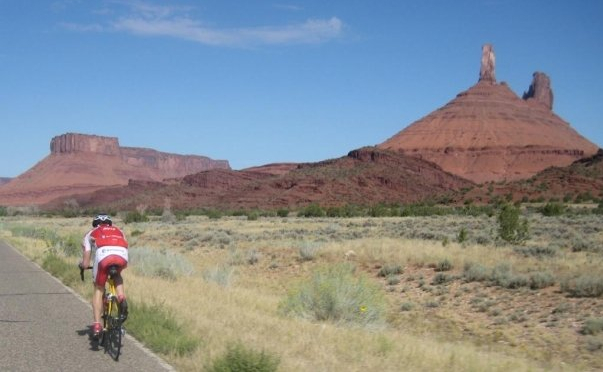 The professional road cycling 6-day stage race known as the "Toughest Stage Race in American" takes place every August and is centered north of this loop tour, closer to Salt Lake City, Utah. 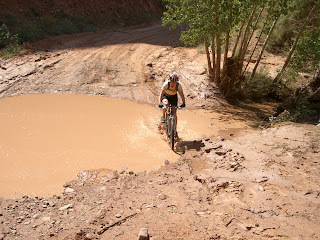 (website: Larry H Miller Tour of Utah). 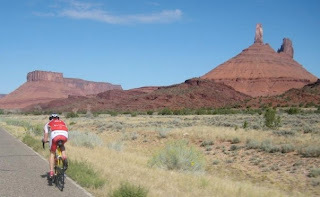 The stage race is similar to the Tour of California (May) and the USA Pro Challenge (August). 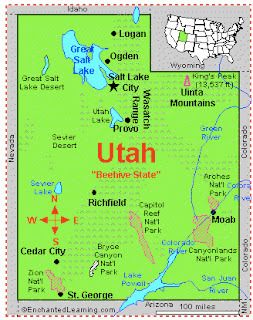 Little facts: The name Utah is from the Ute Indians. 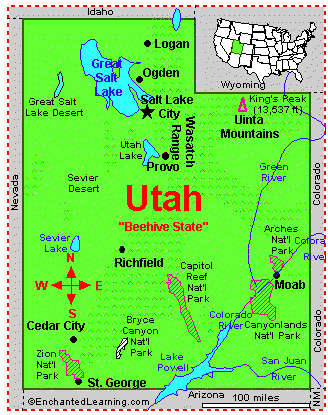 Those who reside in Utah (UT) are called Utahans or Utahns. Utah was the 45th state to join the Union in 1895. 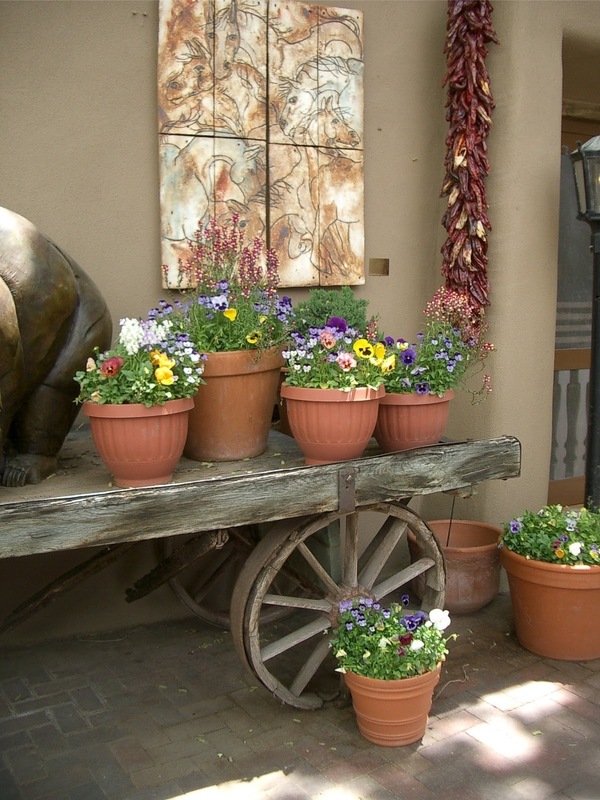 So much to do, and right in our own backyard!